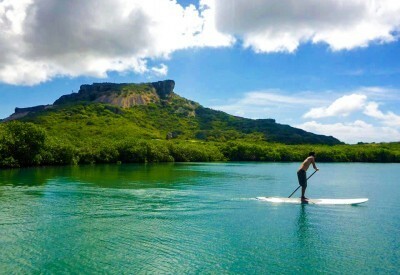 You can also explore the island in an active and particular way: on a standup paddle board on Curacao. The board on which you stand is much like a big surfboard. You move forward by using a paddle. It is easy to maintain your balance on the board: anyone can do it. Accompanied by an experienced guide you can explore the beautiful mangroves and waters of Curacao. There are several different tours to choose from, so it just depends on what you feel like.